The Class of 2022 joined the ranks of ESA students and alumni who have faced the challenge of the ninth grade Physical Science Refrigerator Boat Regatta. 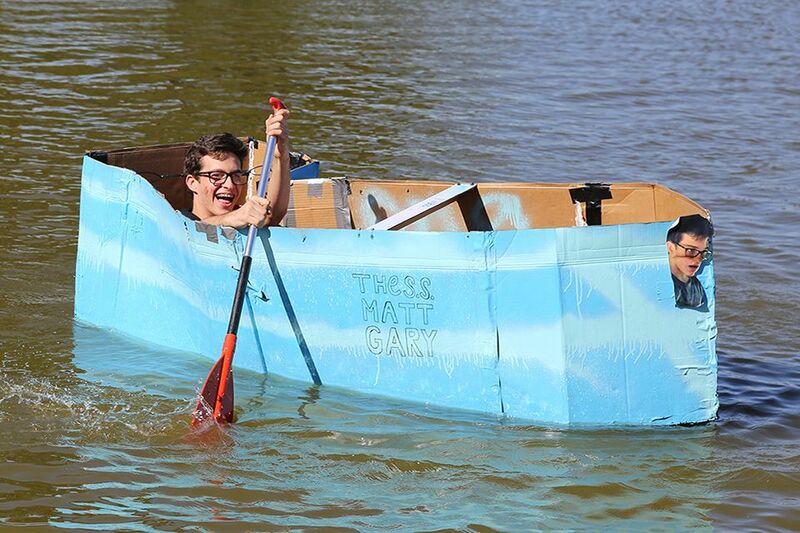 Equipped with a cardboard appliance box, caulk, duct tape, plastic ties, paint and a couple of weeks to work, each group of students crafted a boat designed to carry one passenger through a course at Spanish Lake, and to allow the paddler to pick a pumpkin up out of the water along the way. They also predicted the draft when loaded according to Archimedes' Principle.